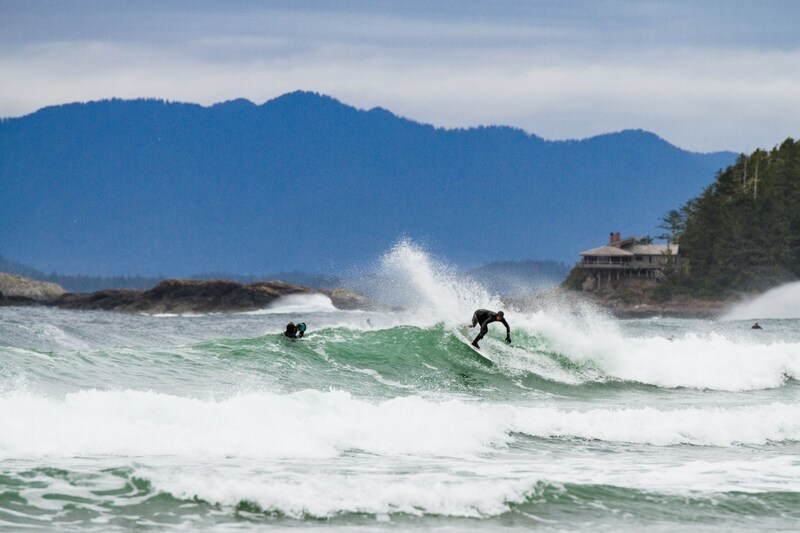 Sequence Films consists of six key players and their two star surfers, Kevin and Jackson. At the helm is JP Veillet who is both the producer and director of the documentary and the man behind the idea. Making sure that the visuals were on point is an award winning cinematographer and photographer Bryan Wilkat. Next there is Marc Flynn who takes care of the marketing aspect of the project with his keen understanding of communication and public relations. In charge of post-production is editor Julien Gagnon. Also lending a hand during the production was Karine Maya Nadon, who served as assistant director. And finally, there is Alexander Quintin Brunet, who is a photographer and the social media manager. Most of these individuals are old friends, who came together and invested their own personal time — mainly without any compensation — because they believe in this ambitious project. Team Frio is lit and ready to show. 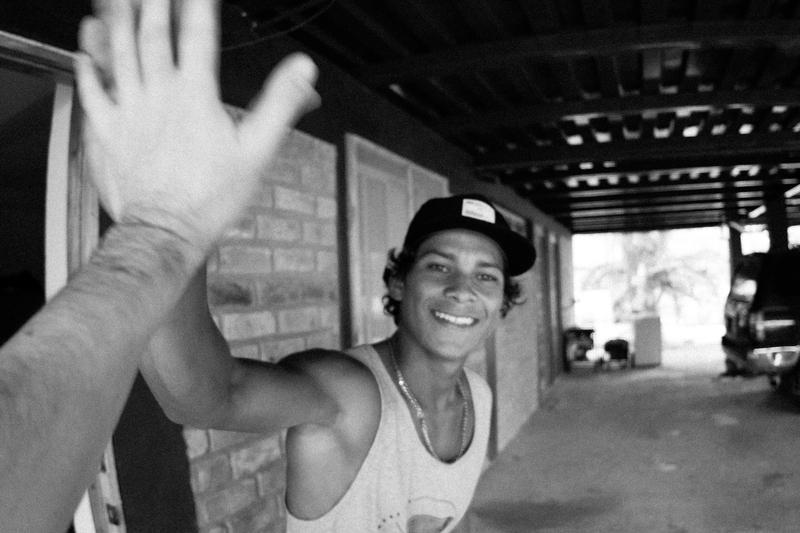 When JP arrived in Playa Gigante he kept hearing about this local surfer named Kevin. As luck would have it, one night while chilling with some locals he was introduced to the prodigy surfer. The more they hung out, the more JP realized that Kevin was in fact very talented and had a true passion for surfing. He also noticed that Kevin was genuinely a kind-hearted kid. While bonding over surfing, they talked about what it means to push personal boundaries and be outside one’s comfort zone. And how that translates in the big spectrum of surfing. That was the spark that started it all. 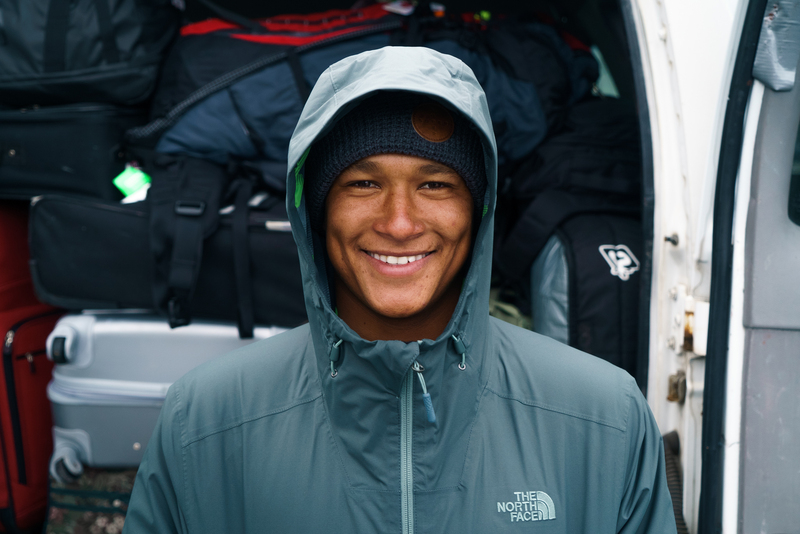 On his next trip to Nica, Kevin introduced JP to his childhood friend and fellow surfer Jackson. At that moment JP knew he had found his stars. 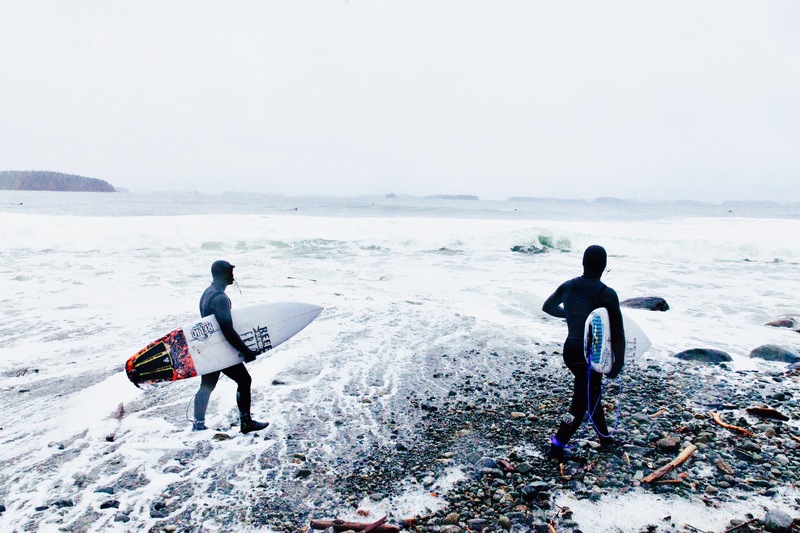 The campaign was shot in Nicaragua and a lot of hype was built around the boys surfing the cold waters of Tofino, BC. This got a lot of people and some companies interested in the project. 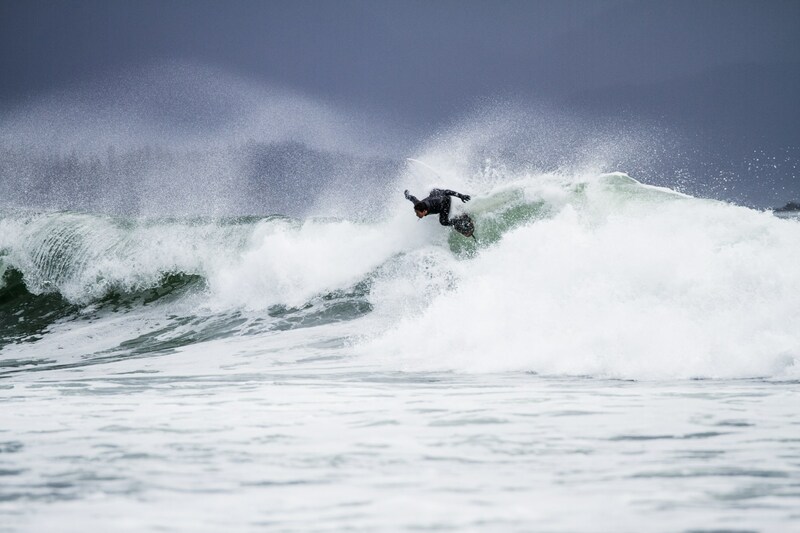 The team also reached out to local hostels, production companies, surf shops in both Nica and BC. It was a sort of exchange of goods. Ultimately, though the success of the Kickstarter and the help that Frio got was because people were excited and really believed in the project. But funding wasn’t the only hurdle along the way. 03 – Welcome to Canada. The temperature during the production was cold and wet and the boys definitely felt it. They were glad and in awe to discover indoor heating and running hot water in the house that they were staying at. Walking through downtown for the first time, Jackson spotted a seagull and immediately freaked out! He had never seen that type of bird in his life before. In another funny instance, the guys had to hike through the woods and 20 minutes in Jackson couldn’t feel his feet anymore. Jackson told JP in a panic that he couldn’t feel his feet and that now they would have to cut them off! Because he had heard of frostbite of course. Kevin and the other guys joked around with him a bit and gave him heat packs. Another 20 minutes later and Jackson was good to go and so incredibly relieved that he would get to keep his feet. The team also notice that the boys really loved to eat. They each ate the equivalent of what three normal people would eat. The team didn’t know how the guys would perform in the cold water but they were in for a hell of a surprise. 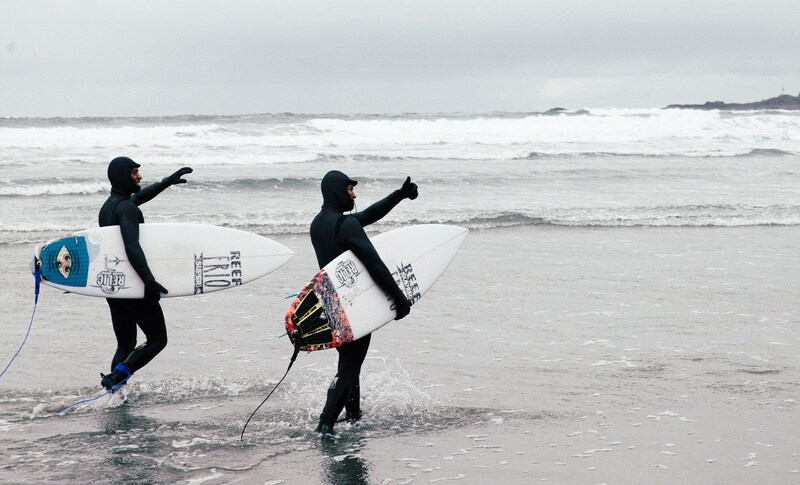 On their first dip, they guys started ripping right away and they were freaking stoked! It was freaking incredible to see. Even though cold water had leaked into their wetsuits they kept on going. After that, it was a morning ritual of “I’m hungry and I want to go surf!” Kevin and Jackson really outperformed throughout the whole production.